I am so lucky to get the flight to Paris on Women's Day. I think it's one of the most sensual place were you can celebrate women :D The parisian women are always an inspiration to me. The parisian woman that I admire is the woman who doesn't wear make-up or a mini skirt. It's the woman with natural hair, simple yet classy who wears anything with an authentic style. The women here feel beautiful the way they are. Not the dress or the shoes are the one that capture your attention, but their personality and their attitude. That's what enchants me every time. The parisian woman is simple and sophisticated at the same time. Is comfortable in her skin. Let's celebrate this kind of women. Let's celebrate You!, because you are beautiful the way you are. Happy Women's Day!!! Meravigliosa Parigi e fortunata si tu!! Buon 8 marzo un po in ritardo! Ps bellissimo il tuo maglioncino!!! La multi ani! Arati foarte bine! Such a great post! 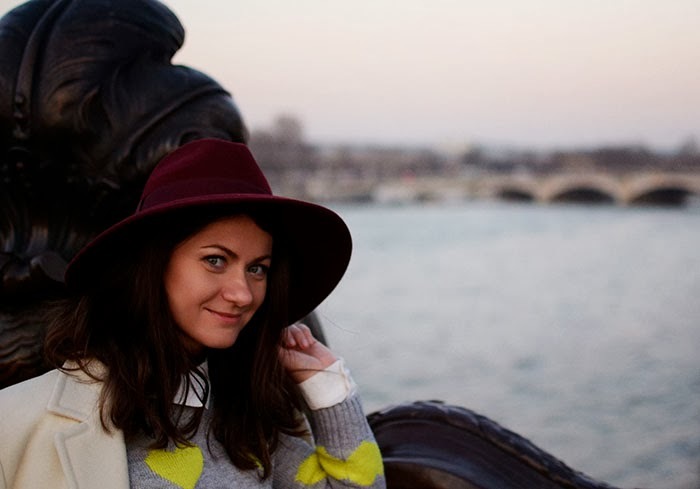 In love with Paris, and I tottaly agree with your opinion about Parisien women. Hope you will have a great time there! I am going to Paris too in the end of April, can't wait for this moment! 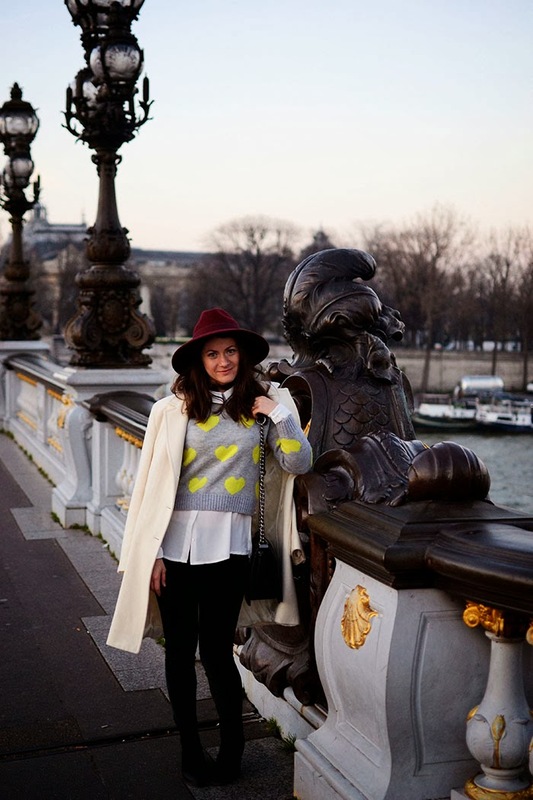 beautiful photos and outfit in paris! Your photos are so beautiful and love your adorable sweater. What better place to be than Paris! Wow! I do not like the mentality but the Frenchmen have a great sense of fashion :-) I'm totally in love with your heart sweater! Just have a sweater in pink! Very beatiful! Un beso. I was just next to this bridge last weekend !